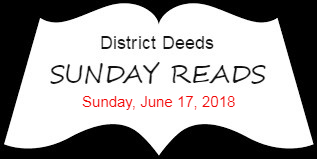 District Deeds Sunday Reads – June 17, 2018: Tracking Students to Workforce; Father’s Day Advice From 16 Amazing Black Men; Free Market School System Deserts? Despite commanding roughly 40 percent of state spending, California’s system of public education, from kindergarten to college, cannot answer whether students are successfully moving from school to the workforce. Which high schools excel at graduating students prepared for college? Are high schools that receive additional state money to assist low-income students increasing the number of students heading to college? Do students who don’t immediately head to college after graduating from high school eventually enter a community college, California State University or University of California? How do these and other outcomes vary by race, region, the incomes of families and other factors? What’s missing, according to the new report, is a data system in California connecting information about students as they move through K-12 and college into the workforce. District Deeds COMPLETELY supports this idea. How great would it be to have the proof to actually hold school districts accountable for their “college and career ready” claims. The San Diego Unified School District (SDUSD) attempts to hoodwink all Stakeholders every year by pointing to the phony, artificially calculated Graduation Rates as the proof of their competence. This proposed data system would truly expose Supt. Cindy Marten and her senior leadership cronies as the incompetent hacks that they really are. 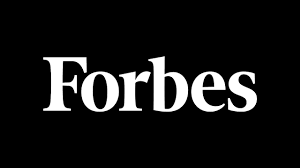 48 other states already provides the data to taxpayers…California MUST do it too!!! Father’s Day is a day to celebrate all the wonderful fathers in the world. However, for Black people, Father’s Day has too often turned into a day to discuss all the dysfunction with Black men—especially a lack of Black fathers. This Father’s Day, I want to send a message of encouragement to Black students, especially our Black boys in schools. I want to show them—and all of us—the people we might not see every day—the many successful Black men who aren’t only athletes, actors or rappers. These 16 brothers—some fathers, husbands, community leaders and all amazing Black men that I love and respect—shared inspiring advice they would give to young Black students. A thoroughly enjoyable and inspiring read with a great deal of fantastic advice for ALL of us. 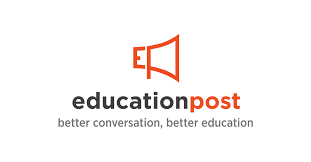 Would A Free Market School System Leave Educational Deserts? This week’s hearing by the House Committee on Education and the Workforce tipped its hand with its title– “The Power of Charter Schools: Promoting Opportunity for America’s Students.” It featured a parade of charter school advocates, with one exception. Somehow, Jonathon Phillip Clark made it into the room. Clark is a father of seven, assistant director of a Detroit nonprofit that provides mentoring and tutoring and a board member of 482Forward, a group that advocates for high-quality education for all Detroit children. Clark’s testimony highlights many of the problems of charter schools in Michigan and elsewhere—broken promises, unstable leadership, unelected governing bodies hundreds of miles away from the people they serve. He underlined the practical problems as well, like driving back and forth across the city to get children to and from their separate schools. What Clark describes is a kind of education desert, a predictable result of a free-market approach to schools. A very timely article given the continued erosion of SDUSD enrollment primarily due to the growth of new Charter Schools. The most interesting part of the article refers to Charter Schools providing “broken promises” and “unstable leadership”. “broken promises” and “unstable leadership”.?!? Those items actually describe the SDUSD leadership incompetence which is EXACTLY the reason for families FLEEING to better run Charter Schools. If there wasn’t already a Public Education “desert” in many neighborhoods, especially those with the neediest students, the many Charter School oasis’ would not have been needed.